John Burns Construction Company successfully completed the Wacker Drive Reconstruction Projects for the Chicago Department of Transportation as the electrical subcontractor to the McHugh - Araiza Joint Venture. The reconstruction was split into two contracts both encompassing a similar scope. Phase I was the complete reconstruction of Lower and Upper Wacker starting at Randolph and continuing south to Monroe. Phase II picked up where Phase I left off at Monroe, continued south to Van Buren and tied into the newly reconstructed Congress Interchange. Both of these projects were a continuation of the work completed in 2001 on the East/West portion Upper and Lower Wacker Drive. JBCC worked closely with the GC to ensure our work was completed on time and in sequence to meet the contract required milestones. 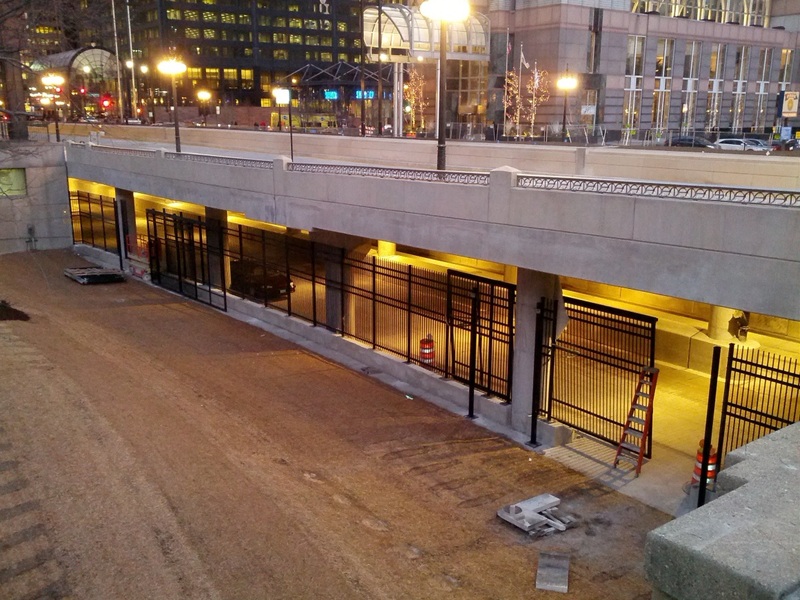 Utilidor Construction: The Utilidor was the installation of a 32 cell concrete encased duct bank package running the entire length of the reconstructed Wacker Drive. The installation also included 6 cell concrete encased duct bank laterals running from the mainline near the utility entrances of various buildings. At some locations the utilidor was up to 20’ below the proposed Lower Wacker Drive Pavement. In addition to the duct bank packages JBCC was responsible for the installation of specially constructed precast manholes weighing approximately 30,000 lbs each. These larger manholes were used as tie in points for the laterals which terminated near the buildings at precast manhole weighing approximately 18,000 lbs each. 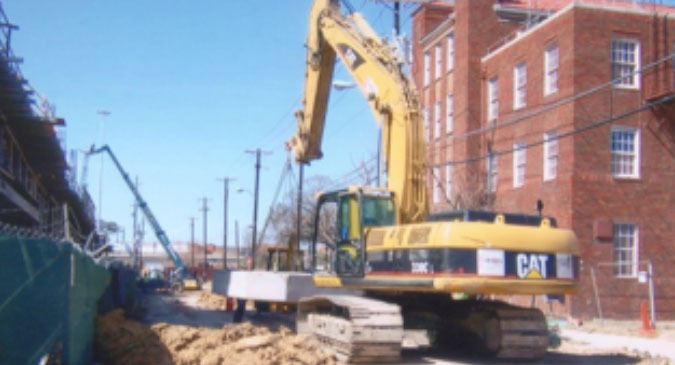 JBCC was responsible for all shoring required making the excavation safe for the installation of the duct bank, and meeting the stringent requirements of OSHA. JBCC also had to be diligent in our digging techniques as to not hit the numerous utilities that were crossing all over Lower Wacker Drive. Due to all of these utilities JBCC had to utilize three different types of shoring methods during construction, and they were trench boxes, steel plates with hydraulic speed shores, and timber lagging. Underground Electrical Infrastructure: JBCC was responsible for installing all of the underground infrastructure required for the new power systems on Lower Wacker Drive. This included all of the service feeds from ComEd transformers to the various City Electric Rooms, Vent Rooms, and Bridge Electric Rooms. 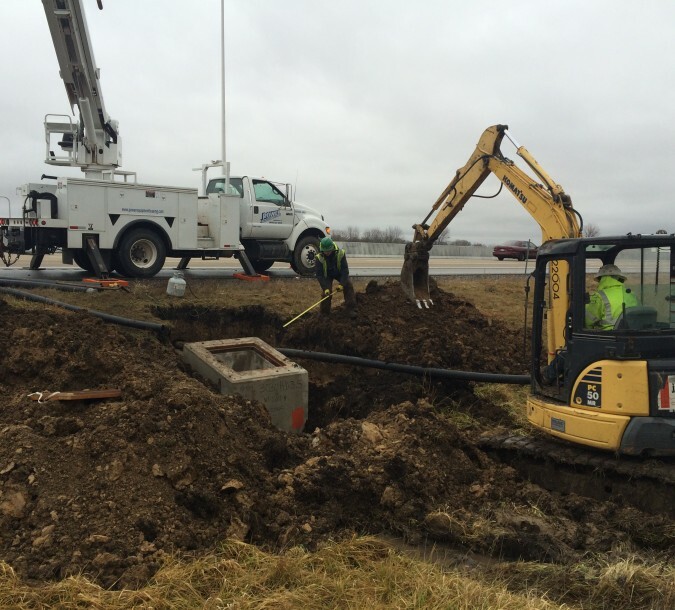 JBCC was also responsible for the installation of all of the service cable where we installed over 80,000 ft of 500 MCM 600 V fire rated cable to feed all of the various services. Upper Wacker Drive Electrical Infrastructure: This work included the installation of all of the conduits which were attached to the underside of Upper Wacker Drive. Due to Upper Wacker Drive being a post tension deck, no drilling into the deck was allowed, so JBCC was responsible for the installation of one foot and two foot inserts which were poured into the PT deck. JBCC then installed over 80,000 ft of conduits ranging in size from ¾” to 4” the entire length of the project. Included in this work was also the installation of over 700 tunnel luminaires which are providing the light for the new Lower Wacker Drive. Electrical Infrastructure: JBCC was responsible for constructing all of the new electrical infrastructure required to serve the various systems on Wacker Drive. This work included the construction of five new city electric rooms, the new construction of four bridge electric rooms (Jackson, Adams, Madison, & Washington), the modification of three bridge electric rooms (Van Buren, Monroe, & Randolph), the new construction of three new vent electric rooms (Adams, Washington West, & Washington East), the modification of five vent electric rooms (Wells, LaSalle, Clark, Dearborn, & State), and the installation of over 200,000 ft of specially made 2 hour fire rated electrical cable of various sizes. City Electric Rooms: These rooms are the main services which feed the various lighting and traffic systems along Upper and Lower Wacker Drive. All of the individual traffic and lighting cabinets are each fed from a separate breaker on the main transfer switch within their respected room. New Bridge Electric Rooms: These rooms are for the new services which feed all the electrical components that make the various bascule bridges moveable. The old bridges were fed off of CTA 600V DC feeds, the new rooms are fed off of a new ComEd 600V AC feed. As the bridge motors all run off DC power, JBCC installed 16 new rectifiers (4 at each new room) to convert the feed from AC to DC. Vent Electric Rooms: JBCC was responsible for the installation of all the equipment necessary to power the new fans being installed along Lower Wacker Drive. Some equipment included automatic transfer switches, main service board, and the variable frequency drives (which provide direct power to the fan motors). Work also included a PC/PLC system which is responsible for monitoring the conditions inside the tunnels. This system also provides an interconnect so the rooms can communicate back to the OEMC center. JBCC was responsible for pulling over 20,000 ft of a special fire rated Fiber Optic cable to make this communication possible. Submarine Cable Installation: In order for the new bridge rooms to be able to be operable from one side, JBCC was required to install up to 6 submarine cables at one bridge location. Working with the coast guard and the city of Chicago, JBCC was able to install new submarine cables at Jackson, Adams, Washington, and Madison bridges. 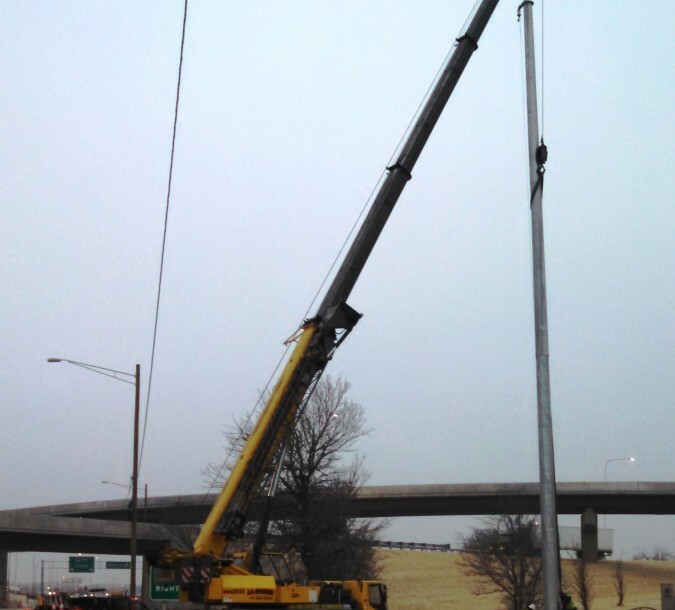 In order to complete this JBCC set up two 1A trucks at the east and west sides and essentially pulled the cable from one end to the other, then lowering the cable into the river. Using divers JBCC inspected the condition of the cable to ensure they were lying flat and not overlapping each other. Traffic Signals and Upper Lighting: JBCC completed the installation of new traffic signal equipment at all seven intersections along Upper Wacker from Randolph to Van Buren, new traffic equipment installed at Van Buren & Wells to add a contra flow right turn lane from Van Buren to Wells, and new traffic equipment at Wells & Harrison along with Harrison & Wacker/Franklin to coincide with the congress interchange opening. 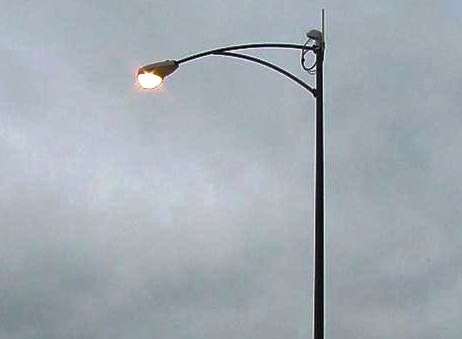 JBCC also installed all new architectural lighting along Upper Wacker Drive to match the lighting which was previously installed on the East/West section of Upper Wacker Drive. Due to the new lane configuration and clearer separation of the service lanes from the through lanes, JBCC installed new traffic signals at Lower Wacker & Adams, 20 S Lower Wacker Drive, Lower Wacker & the Monroe on Ramp, and 155 N Lower Wacker Drive. All of the intersections on Lower Wacker Drive JBCC was required to cut loops into the pavement for vehicle sensing, whereas all of the intersections along Upper Wacker Drive we were required to install cameras for sensing. OEMC Radio System: Due to the new configuration of Wacker Drive, the OEMC radio signal was no longer able to reach certain parts of Lower Wacker Drive. JBCC was responsible to design and build a system which met the intent of the CDOT and OEMC specifications. JBCC first installed all of the necessary equipment inside the newly constructed Radio Room. 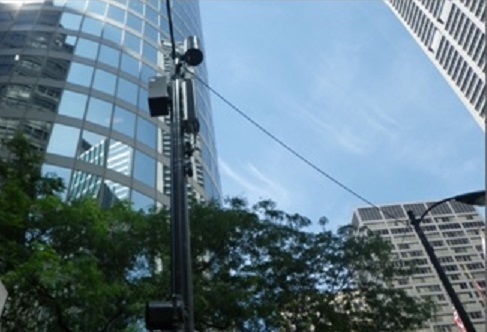 We then installed approximately 10,000 ft of conduit attached to the deck of Wacker Drive from Van Buren to Columbus, installed approximately forty antennas at various locations along the conduit run, and then pulled a special Coaxial cable to connect all of the antennas back to the Radio Room. JBCC also installed two antennas, one at Upper Wacker & Clark and one at Upper Wacker & Monroe, to “catch” the signal and send it to the Bi-Directional Amplifiers (BDA) which were installed inside the Radio Room. Completion: Although there were numerous constraints, and a "No Budge" completion date of November 30, 2012, JBCC was able to successfully complete the project on time.